Is that from a drill press? Yes, from a drill press. Big difference. I’m still using a set of Black & Decker that I’ve had forever. None of the ones I’ve used. It was a rhetorical question. 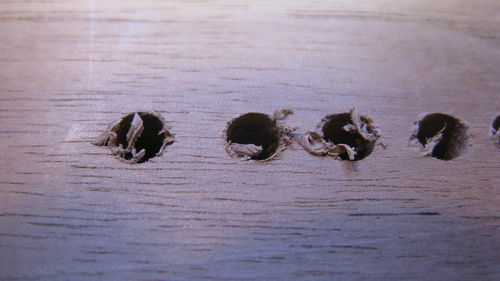 A brad point should have two spurs to score the wood and prevent tearout. If your bits don’t have the spurs, they aren’t brad points. The Lee Valley are no doubt sharper and better made. Cheap tools are cheap for a reason. Rick, the brad point bit in your picture looks like the right hand picture in my post. 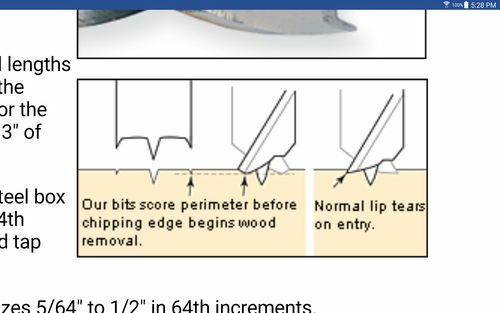 The LV bits have a “hump” (for scoring the wood) right before the cutting point that I don’t see in your picture. That is nice. Which Lee Valley set did you get. I bought one of these sets from Woodcraft. BIG, HUGE, MISTAKE! HF has better drill bits. This set has regular twist and brad point and neither kind will drill butter. I bought the set from Lee Valley last year and kick myself for not doing it sooner. Too many cheap “brad point” just have and up swept cutting edge that are described as spurs and are very much different than on most quality bits. 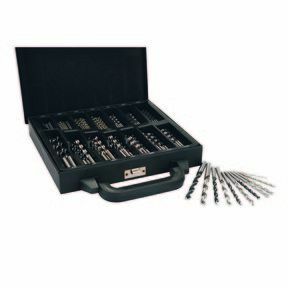 Now my next investment will be to replace my cheap forstner bits. 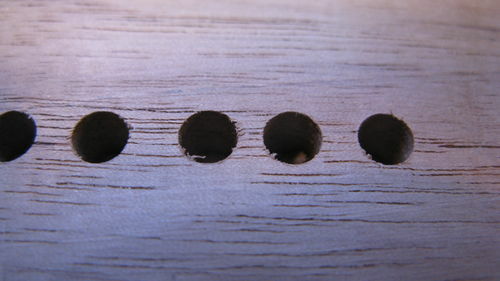 Any drill bit will cut clean holes in wood… as long as they are sharpened properly. Even cheap ones.